Southern Independent Testing Agency providing Testing, Adjusting & Balancing (TAB) and SITACx providing Building Commissioning, Building Envelope Analysis, and Building Envelope Testing. We provide these services to our clients throughout the Southeastern United States. Whether you need assistance with one phase of a project, or a complete Building Environment Analysis, our in-house team of professionals are prepared to provide solutions that maximize building performance. With over a quarter-century and three generations of experience, Southern Independent Testing Agency has provided these services to our customer's satisfaction. We are commited to providing effective building solutions that maximize Building Performance. 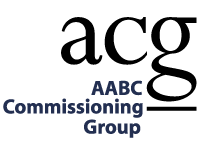 From start to finish, our experienced staff of certified AABC and NEBB engineers, Building Commissioning Authority (AcG), Building Envelope Commission Specialists, and Thermographers ensure a functional and energy efficient building.